Today, Alia Bhatt has turned 26 and on the occasion of her special day, everyone poured in their wishes for the actress. Ayan Mukerji took to his Instagram handle to wish the birthday girl with an animated poster of her from ‘Brahmastra’. In the poster, we see animated Alia’s character facing her back and looking up at the sky from where some pink sparkly pieces are falling. 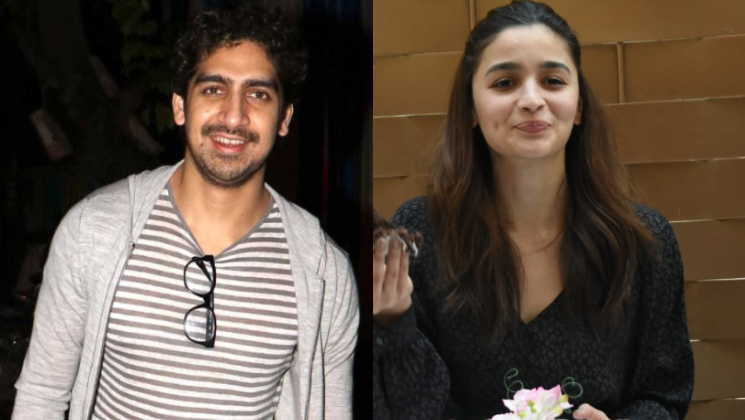 Here’s Ayan’s birthday wish for the ‘Raazi’ actress. A few days back, Ayan shared a picture of him and Alia. He penned a heartwarming post for her on Instagram. In the post, Ayan wrote calling Alia “Sunshine and Starlight! Fire, but also Wind and always Water”. Here’s the post. Ayan’s Instagram post is full of all kinds of stuff related to ‘Brahmastra’. Yesterday, he shared a post where he wrote that it took eight years for him to write the movie. ‘Brahmastra’ is an adventure fantasy drama which is a trilogy. It also stars Amitabh Bachchan, Ranbir Kapoor and Mouni Roy in pivotal roles. The movie is releasing around Christmas this year. Coming back to Alia’s birthday, she had a fun-filled birthday celebration. At midnight, her rumoured boyfriend Ranbir Kapoor, besties Akansha and Anushka Ranjan, Karan Johar, Masaba Gupta and parents Soni Razdan and Mahesh Bhatt surprised her.